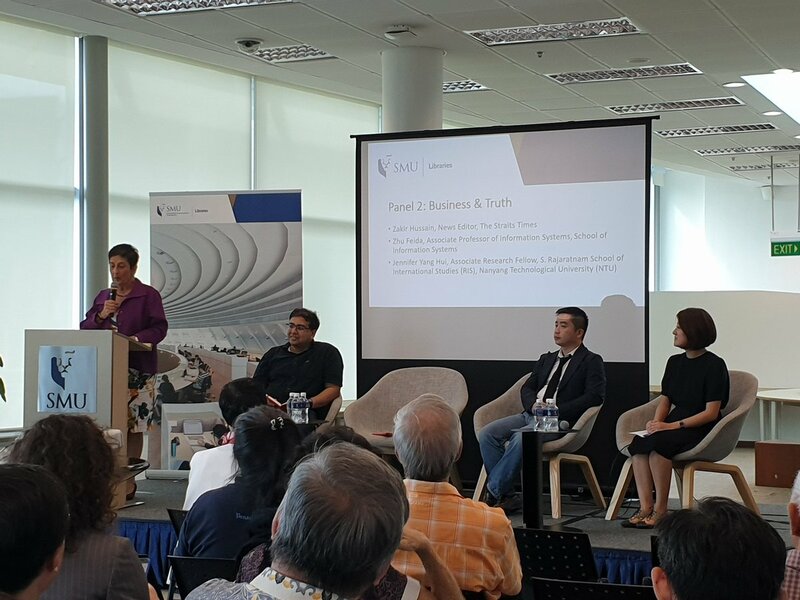 SMU Libraries together with the SMU School of Law, NTU’s S. Rajaratnam School of International Studies (RSIS) and Singapore Press Holdings (SPH) recently collaborated to organise a forum entitled Truth & Lies: Trust in Times of Information Disorder at the Li Ka Shing Library on 3 April 2019. The event attracted over 150 attendees from across all walks of life. In addition to the mostly Singaporean audience, there were Swedish, Canadian, South African, Australian and Turkish guests. There were more than 70 questions posed to the panel via the online Q&A platform such as: “What if a government disinforms?”; “Where do you draw the line between falsehood and opinion/criticism?”; “How do we encourage moral responsibility among youths in the area of consuming and disseminating online falsehood?” “Even if someone disagrees with the minister’s findings on whether something is opinion / truth, most won’t have the resources to challenge it. What avenues of help are there for such people?”. The panelists were generous with their responses to the questions from the audience. 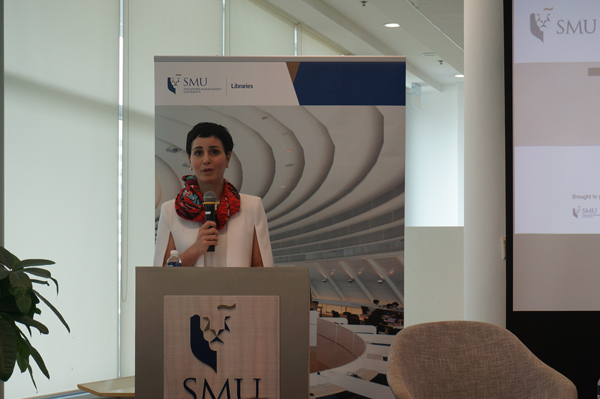 Keynote speaker, Dr Gulizar Haciyakupoglu, set the stage by discussing the current state of affairs. In the first panel there were lively and interactive exchanges between the members which included Senior Minister of State for Law and Health, Edwin Tong, SMU’s Assistant Professor of Sociology, Michael Genkin, SUTD’s Professor, Lim Sun Sun SMU and the rapt audience. Associate Professor of Law, Eugene Tan, moderated the session. University Librarian, Gulcin Cribb, moderated the second panel where panel members, Zakir Hussain, News Editor, The Straits Times, SMU’s Associate Professor Zhu Feida, and NTU’s RSIS Associate Research Fellow, Jennifer Yang Hui, discussed how different actors in the society, especially the media, can do their part to build or establish trust. Last updated on 08 Apr 2019 . Congratulations to the inaugural batch of professionals graduating with an Advanced Certificate i...; 4 hours 55 min ago. We are excited to partner with the University of Economics Ho Chi Minh City to launch a new inno...; 15 hours 55 min ago.